Does it get easier? Uhhhh…no, just busier! 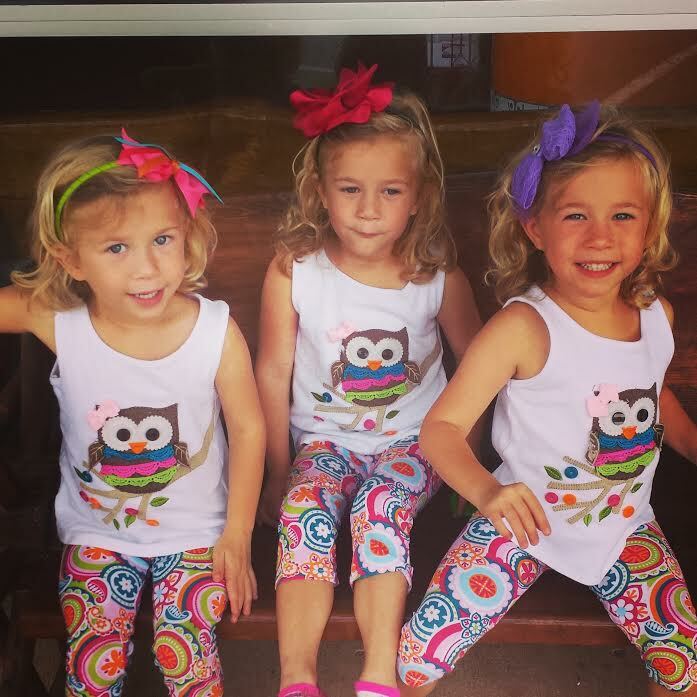 How in the world with these beautiful faces could I dare complain about the life of raising triplets? Ya, ya, I know they are pretty darn cute. I have not posted since June. If I were a hired writer on a deadline I would be totally fired by now! Just kidding, I am a little more responsible than what I am alluding to. 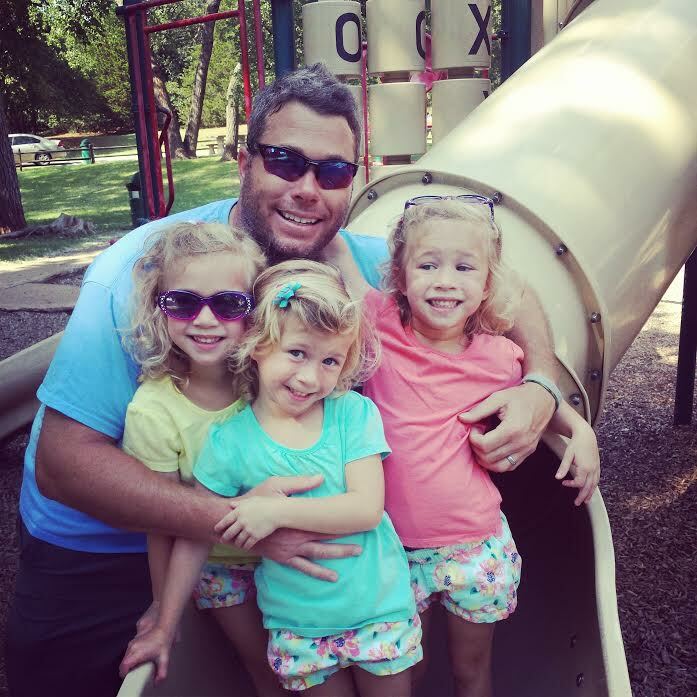 These beautiful, hilarious, zany, witty, emotional little girls are the light of our lives. I find myself really zeroing in on their unique personalities and wonder how in the world did I ever have these tiny whittle babies three and half years ago. 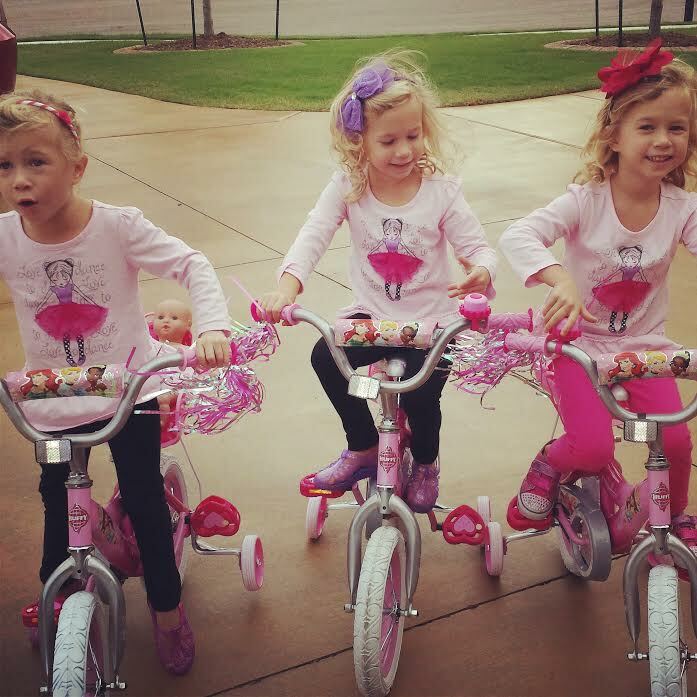 These darling girls make me want to be on my A game all the time. I want them to remember a childhood where they had parents that were happy and funny and fun to be around. Who doesn’t want their parents to read in a funny voice or sing a Disney song for 7,000th time, or shake their booty in the living room in the middle of the day? The more they grow the more my heart begins to feel this overwhelming responsibility to show them life’s lessons. I start thinking about matters of the heart, explaining heartbreak, why people are mean sometimes, why it is important to love yourself and love others, and why it is important to love and honor God. Deep stuff right? Well, when you think they don’t grasp certain things then they will come to you and ask why your old dog is in Heaven. Gulp. Trying to be simple with a three-year old teaches you a lot of things. Simplicity is one. Over thinking it is left for adults 🙂 I pray at night for the strength to make it through the moments where I need to have the right words and the moments where I don’t. But, for now…we keep it simple. Life is nothing but simple in this house! 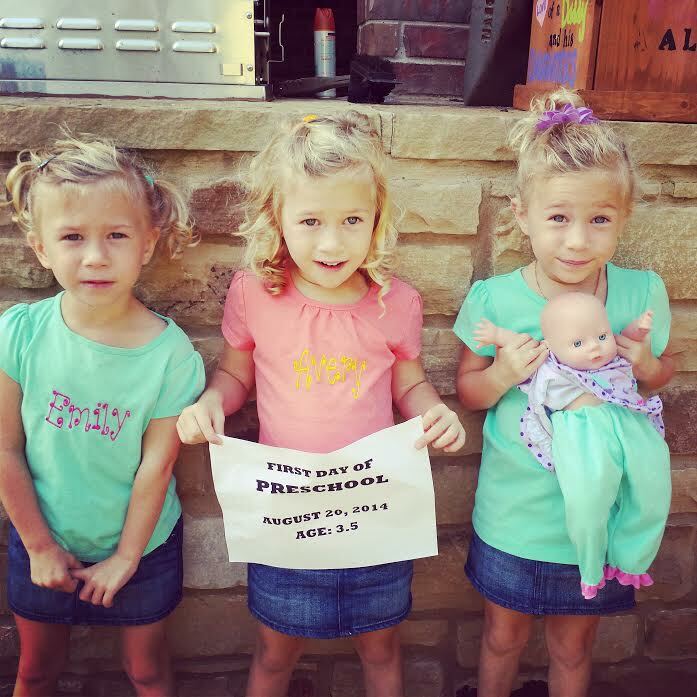 We have started preschool, dance, soccer (ugh) and gymnastics. We have gone to the dentist for the first time. Started riding bikes. Soccer was really a big fat mistake. Lots of tears on the field. Camdyn would only kick the ball at kick off. They just didn’t like the contact part of the sport at all. But, at least we tried something new! Thank goodness our buddy Hazel knows how to score a goal. All of the team’s goals! They are doing great in Preschool. Coming home saying the Pledge, telling me about our American and Oklahoma flags, singing a prayer they sing before their lunch about God, learning their letters and lots and lots of creative art projects. Dance they absolutely love. Maybe its the dressing up in the leotard or maybe the shoes, who knows but they love it. We are also back at gymnastics which they did all last year and having a ball. 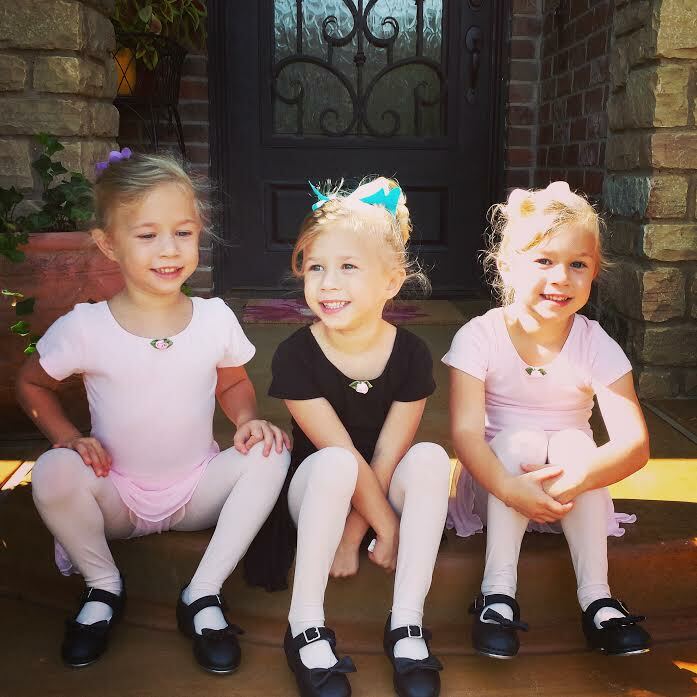 Our little tiny dancers. Emmie always loves to dress a little different 🙂 Love this pic of them. So remember that A game I was referring to? No time in this house to be down, sick or just having a bad day. We are on the go and I just take it in stride with these chatty cathys right beside me. 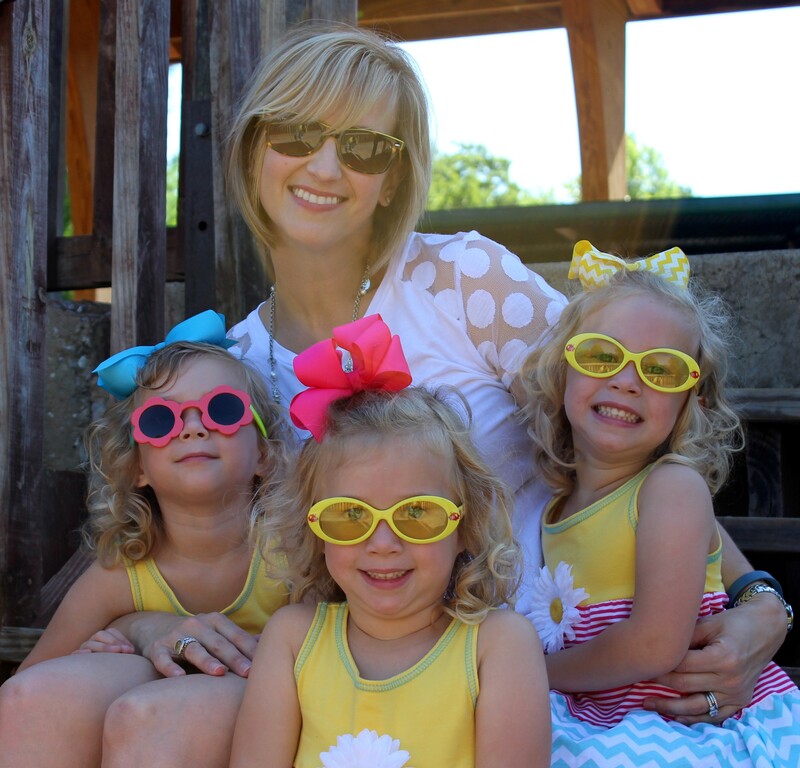 I am a very lucky mommy to be at home with the girls. Is it taxing? Absolutely. I read so many mommy blogs about how emotionally draining it is to really be a mom and they ain’t kiddin! We look forward to making memories with friends and family this season. Family is one of the cornerstone’s of Bryan and I’s marriage and we love being able to share our lives on a daily and weekly basis with our parents (their grandparents), extended family and close friends. And like most families know, it takes a village to raise children!. We have been a “welcome all hands on deck” sort of family. 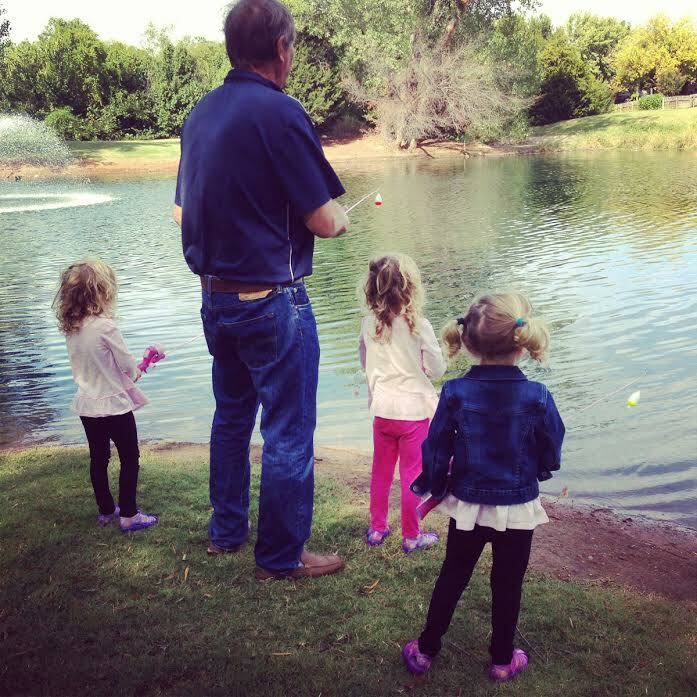 The girls get amazing moments like this one with my dad, their Papa Bill. Who would know these girls love fishing! 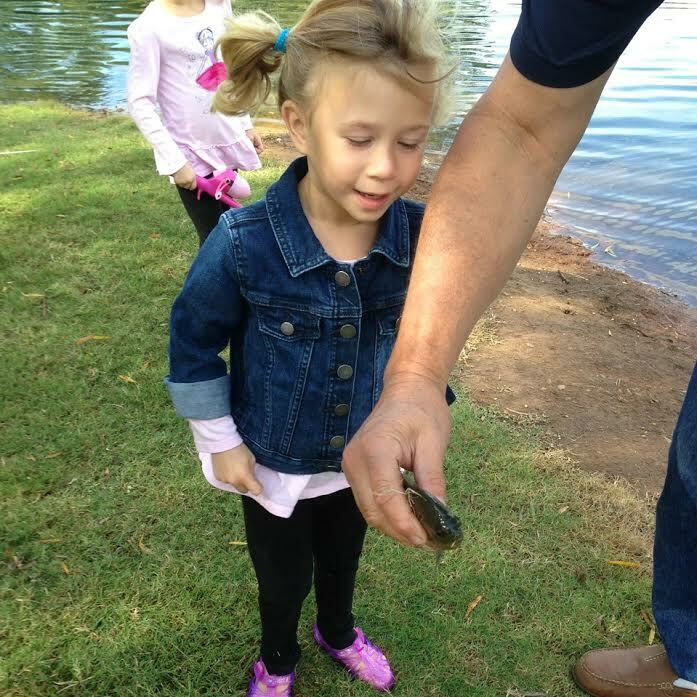 Emmie caught the first fish! As much as we can slow down and take in the sun and enjoy our daughters, we do. Bryan and I may be exhausted, but we are blessed with special memories and more adventures yet to come. What a treat!!. I can’t believe how much bigger that the last picture your mom sent. They are a just beautiful little gifts! Thanks for sharing! Suzanne Larsen.